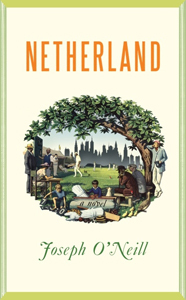 I must admit I was intrigued when I read the outsize praise received by (the now Man Booker-snubbed) Netherland. The book was written by Joseph O'Neill, an author born to Turkish and Irish parents who attended school in the Netherlands and currently lives in New York. Being born to Chinese parents in Texas, raised in the Netherlands, and living in New York at the time, I wondered if I would experience any kind of natural affinity. The short answer was yes and no. Descriptions of a biking-heavy Dutch adolescence rang familiar, but I didn't really enjoy or identify with the book's eventual dénouement. One scene, though, that stayed with me was the one in which the protagonist and his (ex-) wife leave a London dinner party prematurely because of a comment one of the guests (or was it the host?) makes regarding 9/11. Which brings me to what's not okay. Notice to Europeans dealing with Americans, particularly those who lived in New York at the time: It's not okay to suggest that we deserved 9/11, that we may have brought it upon ourselves in the first place. It's not okay to comment that perhaps Americans should view 9/11 as an incident in which they received some "useful feedback" from the rest of the world. The latter, in fact, is exactly the argument that was presented to me in a job interview the other day. I agree that many atrocities take place around the world on a daily basis that suffer the fate of the proverbial tree that falls in the woods. I also agree that the lamentable actions of our outgoing administration have not helped us make any friends - particularly in this context. And yet these are no excuses for trivializing what happened in New York on September 11, 2001.